Everyone on the Internet uses search engines. There's hundreds of them yet 97 percent of all users focus on just three search providers two of which barely scrape the 3% mark. They are Yahoo Search, owned by communications giant Verizon, and Bing, Microsoft's protegé. With 91% market share, Google effectively has a monopoly and holds incredible influence due to the huge amount of data traffic. Yet, we're all aware that Google makes dubious use of our data. Why not switch to providers that better protect our privacy? Here's a list of 4 search engine alternatives! 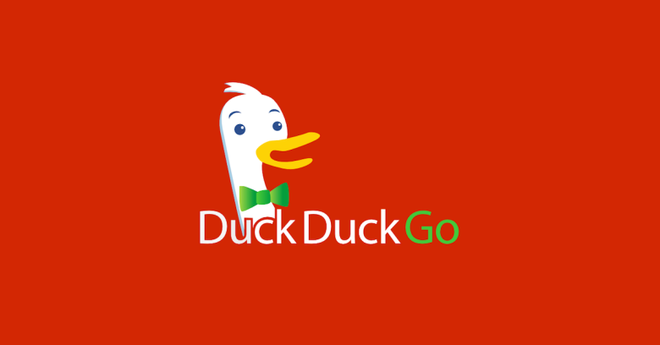 One of the oldest is DuckDuckGo. They don't event want to know who they're dealing with. No user data, IP or search history gets saved and there are no personalized ads. Feels good! The almost empty page that only shows a duck and a text field also contributes to this feeling. Only if you look closer, will you see a small menu at the top right that provides access to design and search settings as well as further details including encryption settings. Search results stem from Yahoo Search, Search BOSS, an independent service, and Wikipedia so you won't be missing out on anything. If you want to play it safe: DDG also collaborates with the TOR network which further underscores their commitment to privacy. Startpage is Google without the data hogging. How it works? The site acts as an intermediary between you and Google, removes anything that may be used to identify you, relays your search request to Google and then shows you the results. Again, there's no IP logging, no Cookies being used and your visit isn't even recorded. It's as if you've never been there! In my tests, search requests took minimally longer due to anonymization but is that really an issue? Unless you're searching for "My elevator is about to crash what can I do? ", 1.2 seconds won't matter much. There's no filtering, no personalization and any ads you may encounter will know nothing about you - there's no tracking cookie! And if you're looking for a new email address that comes with better privacy and encryption, they've got you covered, too. Their strong commitment to privacy and the issue of data collection is reflected by the various information on their site. They definitely mean business! It's a great search engine alternative. MetaGer has been around for a long time and was one of the first search engines I came across, along with Altavista. It's a meta search engine that uses various search engines in parallel for best results. As you might have guessed, "Ger" stands for Germany. Like Startpage, MetaGer processes and anonymizes your request but relays it to a list of multiple search engines and then shows you the results. You may customize that list and results appear swiftly. A special page dedicated to information around science will please researchers and academics alike, great service! The visuals are less appealing as the site looks like work in progress that resembles a cheap online store, shame! The project is open source so if you're a security fanatic and have the skills, you can always take a look under the hood and make sure that things are done properly. MetaGer doesn't store any search details, supports TOR and, aside from the minimalist design, leaves little to be desired. If you're one of those users that like to customize everything, MetaGer is my insider tip for you! Qwant, on the other hand, is a sight for sore eyes. Like the others, it doesn't track you and won't log your search actions. What's interesting about Qwant is that the service explicitly speaks out against filter bubbles, i.e. the attempt to guess what you might want to search for next based on your previous requests. This may be helpful occasionally (when you're looking for something you've already searched for in the past) but it introduces bias into your search requests. As a specialty, Qwant features an info bar that not only includes common search categories (image, video, news, shopping) but also displays results for music channels and social networks. If you need more features like notes, bookmarks or individual content you'll have to register but even registration only asks for very basic information that won't be passed on to third parties. Good site! The conclusion is simple: there's life without Google! And there are no withdrawal symptoms. I saw no gaps in the search results with any of the above sites and didn't have to wait noticeable longer. They all use HTTPS for safe encryption. Why stick with Google? It's the age old battle between convenience and data security. If you use Google, they probably already knows you, your search interests, your home address and your hobbies. That's why you may get good search results faster, but is it really worth it? I will try out these alternatives for a month to find out whether I'll be missing something. Can you even remember how you ended up with Google? And if not: which search engine are you currently using? Do you have any tips?